The Foreign Investment in Property Tax Act (FIRPTA) Among the many documents which are presented and processed during escrow is a certificate of non-foreign status. The reason for this document is to protect the property buyer from liability for the IRS withholding tax which applies if the seller is a foreign person. If the Seller is a US Citizen or a US Resident then FIRPTA does not apply. If the Seller is not a US Citizen or a US Resident then the Buyer may have to withhold 10% (or more see below) of the sale price at the closing. 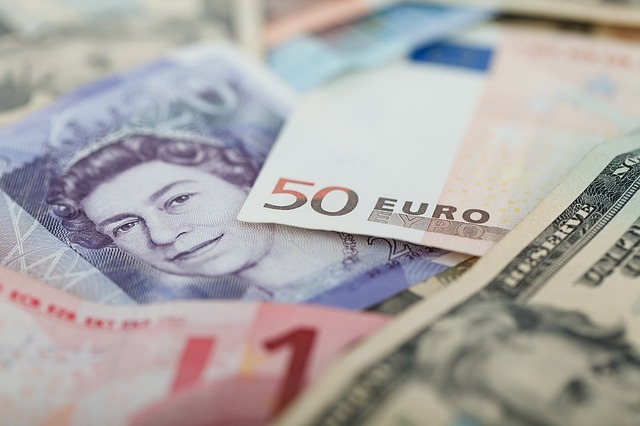 Although the taxable gain of a transaction is earned by and thus taxable to the foreign seller, the buyer is held liable for the tax if it is not paid by the foreign seller. When is the last time you encountered a transaction with a foreign seller? 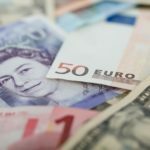 Foreign sellers are coming to the United States and investing here, this article is to help unravel the complications that can exist in a transaction when the Seller is foreign. How do you tell if the Seller is a foreigner? A Foreign Person will be considered a non-resident (for tax purposes of the U.S.). A foreign person will NOT possess a U.S. Passport . A foreign person will NOT have a Green Card. If the Seller is not a citizen or resident THEY ARE a Foreigner and are subject to FIRPTA withholding. Does the Buyer have definite plans to use the property as his residence (definite plans to reside at the property for at least 50% of the number of days the property is used by any person during each of the first two 12-month periods following the date of transfer. When counting the number of days the property is used, do not count the days the property will be vacant) AND the sale price does not exceed $300,000? If you can answer yes to both of these questions then the transaction may be exempt from withholding. The Buyer will have to sign a sworn Affidavit at the time of closing. If the sales price is more than $300,000 or the Buyer does not intend to occupy the property the required time as indicated above; and the seller is a foreign person then withholding is necessary, the rate will be 10% on purchase prices which do not exceed $1 million. If the price is higher than $1 million, the new rate (on dispositions after February 17, 2016) of 15% will apply. Withholding on the full sales price is required even if the transaction is one in which an installment sale is completed. It is the buyer, not the seller, who is obligated for withholding and reporting required by FIRPTA at the time of the sale. Unless the transaction is exempt from withholding, the buyer must report the sale to the I.R.S. on Forms 8288 and 8288-A, and pay the required tax withholding, by the 20th day after the date of transfer. The “date of transfer” is the first date consideration is paid or a liability transferred (excluding payments before title passage such as earnest money and deposits). This deadline is extended to the 20th day after the I.R.S. accepts or denies a legitimate application for a “withholding certificate”, if the application is filed on or before the transfer date. In order to complete the appropriate reporting forms or apply for a withholding certificate the foreign person must have a tax identification number (ITIN). To apply for an ITIN the foreign person must file form W7 with the IRS. 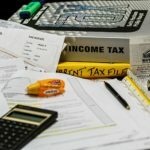 For 2016 returns and later, ITINs not used on a federal income tax return at least once in the last three consecutive tax years have expired, based on the 2015 PATH Act. Additionally, ITINs issued before 2013 need to be renewed, starting with those with middle digits of 78 and 79. Prior to a transfer, the seller may apply for an IRS withholding certification to reduce or eliminate the required amount of the withholding. The IRS is required to act on a request for a withholding certificate within 90 days of receipt of the application. Once the withholding certificate is granted then the escrow may release the 10% (or the applicable amount withheld in escrow at closing) to the Seller. If the withholding certificate is denied then withholding amount must be tendered to the IRS within 20 days of the issuance of the denial of the application. 3. An agreement for the payment of tax providing security for the tax liability, entered into by the transferee or transferor. For a full list of exemptions: Exceptions from Withholding. To reduce or eliminate withholding a taxpayer must file Form 8288-B and in order to file 8288-B you must have a TIN (aka ITIN). To apply for an ITIN the taxpayer must complete and file form W-7. Both forms can be filed together. Below are links to the documents necessary to file for an exemption. A 1031 Exchange is one of the exceptions for withholding, if doing a 1031 Exchange the taxpayer should immediately file the 8288-B form. If you are a foreign seller you should determine if an exemption or reduction is applicable to your transaction. Then provide notice to your buyer and apply for your withholding certificate (if applicable). In any case, the seller should be sure to file an annual tax return for the disposition. Any taxes withheld will be credited toward the tax owed. you should contact your tax attorney, CPA or other expert familiar with these issues.